When building a house it is important to create a solid and reliable Foundation. To ensure these characteristics must adhere strictly to the requirements of the project, which indicates the size of the Foundation, grade of concrete, construction formwork, and the estimated amount of concrete in cubic metres. However, after the actual installation of formwork subject to changes and deviations from the dimensions specified in the project, and this should be considered when calculating the volume of concrete to order. Dimensions to calculate the cubic capacity of the Foundation should take the actual mounted on the mold. Also take into account the presence of stiffening ribs, if they are described in the project, and other elements that can influence the change of the volume of the poured concrete. There are a few things that are important to consider in the calculations. 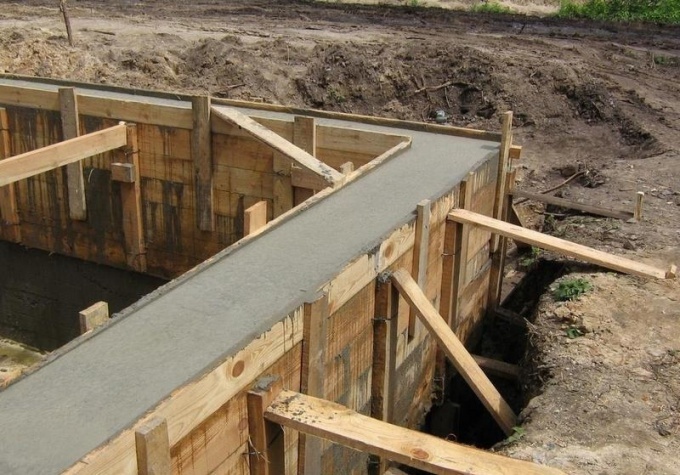 Strip foundations are not always rectangular in shape, may contain various protrusions or recesses, in addition to the main perimeter are often spinoffs of the Foundation for interior walls and bridges. Some parts of the Foundation can vary in width for extra amplification. Should be divided the Foundation into groups with the same width between the inner walls of the formwork. The volume is calculated as the sum of the volumes of each of the groups. To determine the length of Foundation is not used for internal or external size, and the length of the perimeter of the Foundation at the middle line between the walls of the formwork. This avoids unnecessary calculations of the volume in the presence of the turns of the tape Foundation. The same applies to the Foundation for inner walls. Separately calculated the capacity of the stiffeners, if required, and can be combined with the main volume. If the design of the Foundation provided for the formation of the technological voids or holes, their total amount is subtracted from the total volume. Order best received the capacity to increase by 15%, in case if there are delays in casting or show flaws in the formwork. In the case of the broader the base, the volume is calculated separately for the base and for the top, and after they are added. The result calculated for one pile multiplied by the number of piles in the Foundation.